Room and building naming opportunities are available for gifts of $75,000 and up. Gifts may be pledged for payment over multiple years. Questions: ihfoundation@indianhillschools.org or 513.272.5932. 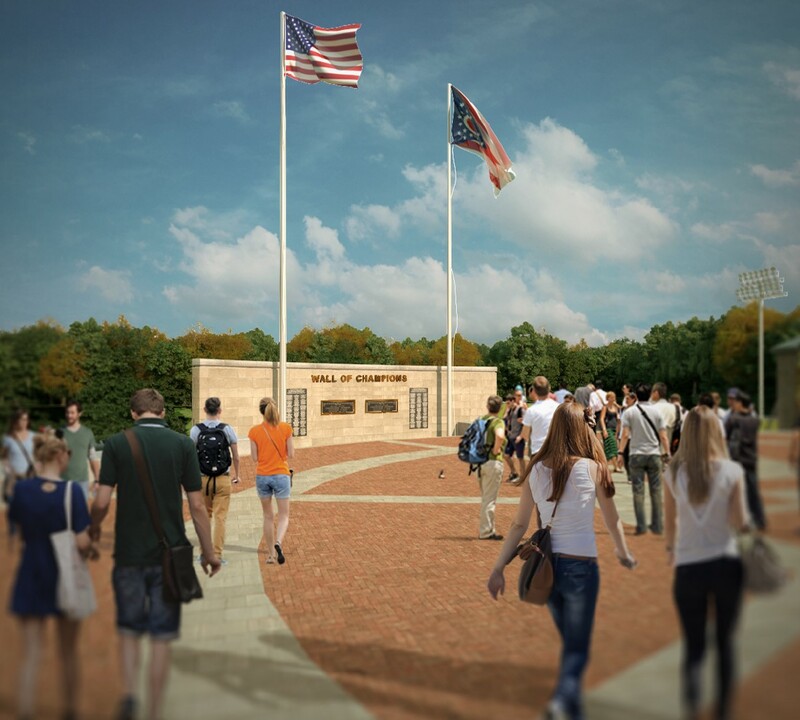 Concept View of the Donor Recognition Wall in the Home of the Braves plaza.